USE, Don’t LOSE Your Dental Benefits! Let’s get down to the knitty gritty – how do your dental benefits work? They cover in full or part of your dental procedure which shed the costs off you. You paid for them, right? So how exactly do you take advantage of them? Here’s for starters: USE, don’t LOSE your benefits! See what’s been satisfied. Call and ask us to give you an update on how much is remaining out of your dental maximum. If you have an a few hundred or more remaining and you have treatment that need to be scheduled, perhaps you should consider using your remaining dental benefits. 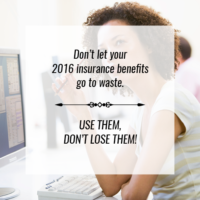 You could save hundreds of dollars using your leftover benefits for the year. Get your cleanings. Have you had your biannual cleanings this year? Cleanings are typically covered in full by insurance companies so if you’ve only been seen once during your benefit plan year, give us a call at 206.440.0065 to schedule your next cleaning appointment to ensure that you’re getting the most out of your dental benefits. We promise your teeth will be nothing but thankful and grateful to you this holiday season. Know where there’s extra help. If you have a healthcare flexible spending account or health savings account, many times the unused funds don’t rollover. Instead, opt to use them for your dental care! It’s also Open Enrollment season, which means if you’re looking for a little extra coverage for your dental procedures, you can enroll for more benefits. Don’t put off treatment. If you have pending treatment on file, we don’t want to put them off because they can be really costly in the long run should the conditions of your tooth/teeth worsen. Be sure to take care of your dental concerns with your leftover benefits this year before they give you a run for your money in the future. 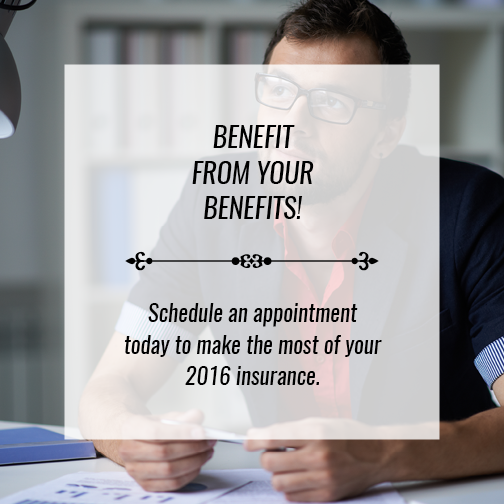 If you have any questions regarding your dental plan coverage for the new benefit year, feel free to give us a call and we’ll be more than happy to help. If you need more assistance with your dental benefits, clarifications, questions on how you personally can maximize your remaining benefits, and/or to make an appointment for you and your family, call us at 206.440.0065. Appointment slots at the end of the year fill up quickly so don’t delay, call us today!